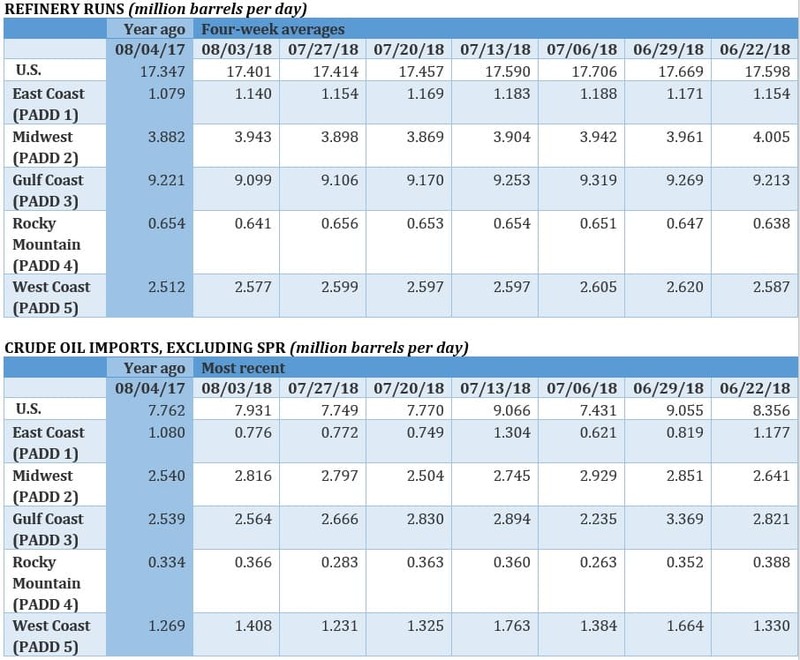 More supply from Russia and Saudi Arabia has weighed on oil prices this week, but with oil sanctions on Iran looming, markets remain bullish. The IEA said in a new report that more supply from Saudi Arabia and Russia has eased supply concerns, but that the current lull in the oil market might only be temporary with sanctions on Iran looming. IEA: Oil market sees “cooling down” this summer. The International Energy Agency said that higher output from Saudi Arabia and Russia have tamped down concerns about supply. The partial recovery in Libya has also dialed down the danger to the oil market. 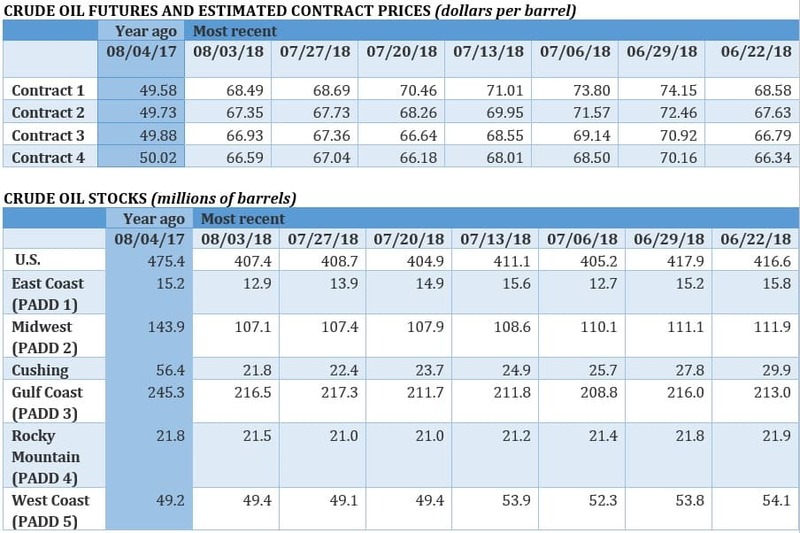 The IEA slightly revised up its forecast for demand growth in 2019 to 1.5 million barrels per day (mb/d), up 0.1 mb/d from last month. For this year, however, demand growth slowed in the second and third quarter, after a blistering first quarter. 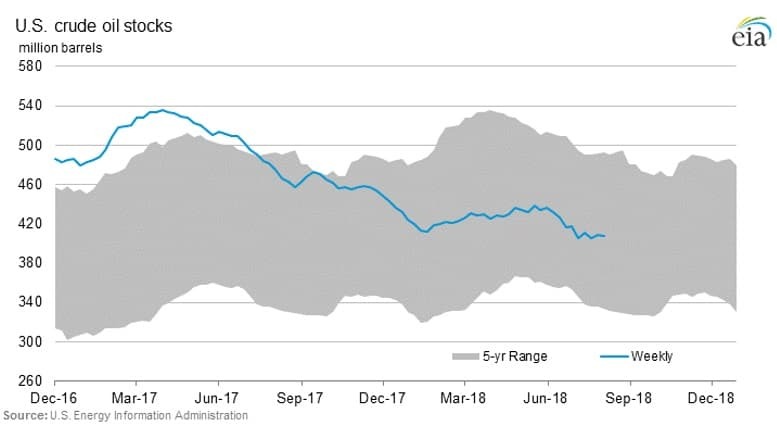 This “cooling down” of the oil market – both in terms of fewer disruptions and slower demand – has caused prices to fall back from a few weeks ago. But it could be temporary. With Iran sanctions set to take effect in November, it could be “very challenging” to ensure adequate global supply, the IEA said. China refrains from slapping tariffs on U.S. crude. Despite having proposed to include American crude oil under its list of tariff targets, China left oil off of its list this week when it imposed $16 billion worth of tariffs on U.S. products. The decision, analysts say, is a reflection of China’s import needs, particularly with supplies from Venezuela in decline and supplies from Iran potentially disrupted. Still, Chinese refiners have begun ratcheting down purchases of American oil and LNG anyway, in anticipation of potential tariffs. The trade fight helped push down oil prices this week, even though crude oil was not caught up in the new tariffs, as the oil market grew concerned about the impact on the global economy. Chevron and Exxon double down on Permian. Pipeline constraints are slowing drilling in the Permian, but Chevron (NYSE: CVX) and ExxonMobil (NYSE: XOM) are unbowed as they ramp up their presence in West Texas, according to Argus. Chevron’s Permian output rose to 270,000 barrels of oil equivalent (boe/d) in the second quarter, and the company said it is “not materially exposed to the Midland basis differential,” a discount that has consistently exceeded $10 per barrel relative to WTI in Houston. Exxon added 7 rigs to the Permian in the second quarter, taking its total up to 34. Exxon’s output hit 250,000 bpd, a 30 percent increase from a year earlier. U.S. judge authorizes seizure of Citgo. A U.S. federal judge authorized the seizure of Citgo Petroleum Corp. in lieu of failed payment on Venezuelan government debt. Citgo, a subsidiary of PDVSA, is the only U.S-based asset by the Venezuelan state-owned oil company. The decision could set off a scramble to seize assets and deepen the crisis in Venezuela, but the extent of the impact is still unclear because the full opinion by the judge is sealed. U.S. predicts Iran will lose up to 1 mb/d. U.S. officials reportedly expect Iran to lose between 700,000 bpd and 1 mb/d of oil exports by November, according to Bloomberg. The Trump administration wants to take exports to “zero,” but clearly recognizes that the process will take time. Shale drillers starting to step up spending. 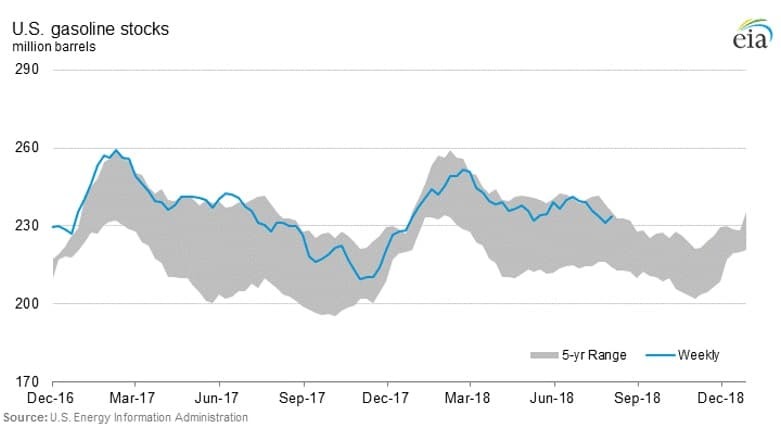 The “capital discipline” mantra has taken hold over the U.S. shale industry over the past two years, but higher oil prices are starting to lure shale drillers into higher spending levels. Parsley Energy (NYSE: PE), Pioneer Natural Resources (NYSE: PXD) and Continental Resources (NYSE: CLR) recently announced spending increases, joining others in the industry, Reuters reports. U.S. selling more oil to India. India’s state-owned Indian Oil Corp. signed a term tender for American crude for delivery for November through January, a move that will ensure Indian receives supply at a crucial time when Iran begins to feel the pinch of sanctions. Related: Who Has The Right To Resources In The Caspian Sea? China oil futures contract suffering from volatility. While Brent and WTI have been bouncing around modestly, China’s oil contract in Shanghai has been gyrating much more intensely, undermining the contract’s ability to compete with the more widely-traded benchmarks. “The price action does not do the contract any favors as it shows how speculative day-traders remain firmly in control and with that we can see temporary dislocations to the international market,” Ole Sloth Hansen, head of commodity strategy at Saxo Bank A/S in Copenhagen, told Bloomberg. The Shanghai contract is being driven by speculative forces, and there is a “disconnect” with the global oil market, Citibank said. Exxon signs on to support Permian Highway pipeline. ExxonMobil (NYSE: XOM) signed a letter of intent to be a shipper on the proposed Permian Highway pipeline, a $2 billion pipeline that would carry Permian natural gas to the Gulf Coast. The recent decline in oil prices was a function of two important factors. One is that the global oil market has not yet re-balanced completely. There is still a small amount of glut capable of taking care of outages in Venezuela, Libya and elsewhere. The other is anxious anticipation by the global oil market of how the escalating trade war between China and the US will pan out. And contrary to IEA’s claim of a cooling down in the global oil market, nothing has changed in the fundamentals of the global oil economy. They are still positive enough to support an oil price above $80 a barrel. Oil prices are still projected to surge above $80 this year despite the recent decline. Moreover, Saudi Arabia and Russia couldn’t have added jointly more than 400,000 barrels a day (b/d) to the market. In so doing, they have added to the remaining glut in the market. 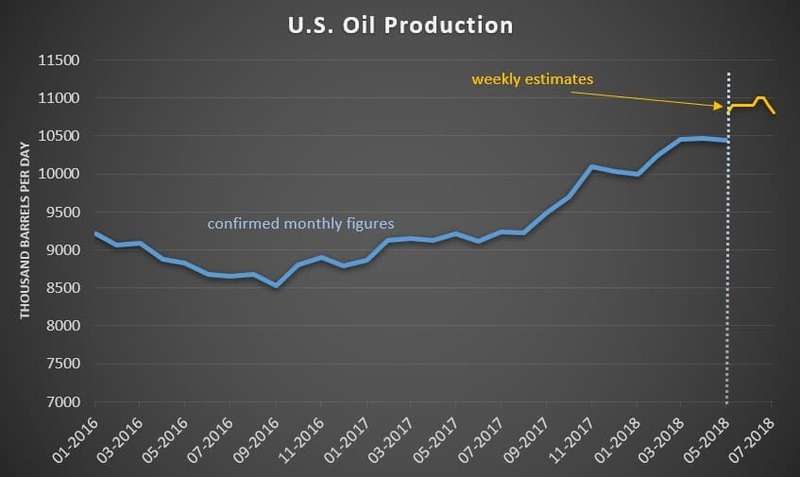 US officials’ expectation that Iran could lose between 700,000 b/d and 1 million barrels a day (mbd) of oil exports by November is more of a wishful thinking than a reality. US sanctions are doomed to fail and Iran is not going to lose a single barrel of its oil exports for two reasons. The first is that the overwhelming majority of nations of the world including US allies and major buyers of Iranian crude are against the sanctions on Iran and will not therefore comply with them and will continue to buy Iranian crude whether in violation of the sanctions or by a US waiver as would be the case with Japan, South Korea and Taiwan. The second is the petro-yuan which has virtually nullified the effectiveness of US sanctions and provided an alternative way to bypass the sanctions and petrodollar. US sanctions on Russia have no bite. They have failed to block Russia’s rising oil production and its growing dominance in the global gas market particularly the EU’s. Moreover, they have not deterred the building of both the Nord Stream 2 and the Turk Stream gas pipelines which will consolidate Russia’s gas dominance in the EU. As for China’s crude oil future contract (the petro-yuan), it has been a great success capturing some 21.6 mbd of contracts or 32% of the entire global oil trade in less than five months since its launch. It is probable that the petro-yuan will dominate the global oil trade by the next decade.